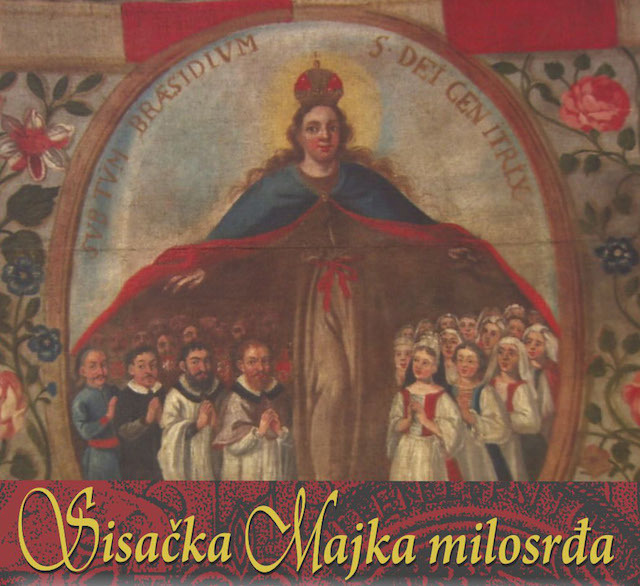 The Sisak Mother of Mercy (exhibited on the front cover of the DVD). 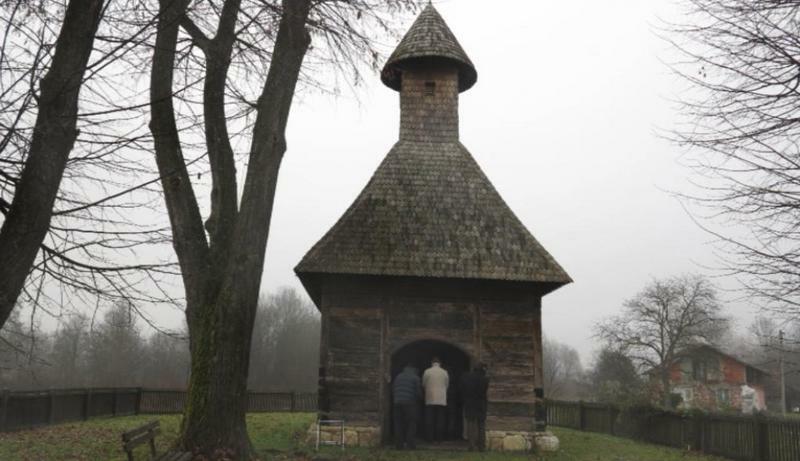 Veneration of Mary, Mother of Mercy, in Sisak is the ninth film in the series Digital Recording of the Croatian Mariological Heritage, under the auspices of the Committee for Education, Science and Culture of the Croatian Parliament and the Council for Culture of the Croatian Conference of Bishops. he project leader, scenarist and director is Hrvojka Mihanović-Salopek, Ph.D, who deserves our deep gratitude for her excellent work, as well as the producers, Alojzije Prosoli and Krešimir Renzo Prosoli. aggression on Croatia, the church was built anew in 2015. The film Veneration of Mary, Mother of Mercy, in Sisak, is a multidisciplinary celebration of materials dedicated to the veneration of Our Lady in the Diocese of Sisak, from the Middle Ages to the present, including both famous and lesser known baroque Marian shrines, such as the leading diocesan Marian pilgrimage destinations in Kloštar Ivanić and Gora, Our Lady’s churches in Kutina, Sisak, Topusko, Mala Gorica near Petrinja, Žažina, Stari Farkašić, Pokupsko, Dubranec, Pešćenica and Ivanić Grad, as well as other churches where Our Lady’s altars are particularly revered. 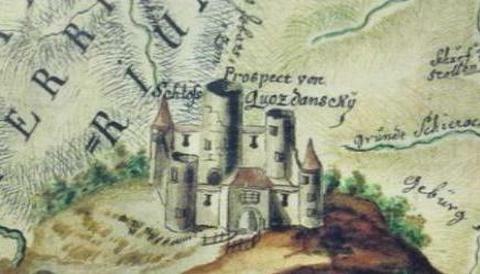 Due to turbulent historical circumstances, the territory of the Diocese of Sisak endured centuries of warfare, to which the inhabitants responded with great heroism in the defense of the homeland, especially in the Battle of Sisak in 1593, the cities of Zrin, Gvozdansko, Hrvatska Dubica, Hrvatska Kostajnica and Hrvatski Čuntić. The film also presents old and rare books related to the religious heritage of the Diocese of Sisak, such as the Missals of Juraj of Topusko from the fifteenth century and historical works by Adam Baltazar Krčelić, Pavao Ritter Vitezović, Juraj Ratkaj, Ivan Kukuljević Sakcinski, the royal scribe Pavao of Ivanić from the fifteenth century, Andrija Blašković, Ivan Švear and others. Verses by the Marian poets Nikola Krajačević Sartorius, Juraj Mulih, Pavao Štoos, Velimir Deželić the Elder and Mato Marčinko are recited. 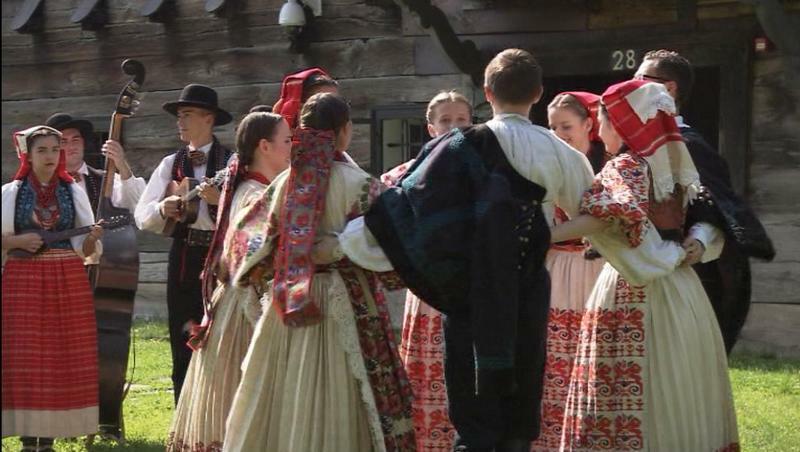 Moreover, there are original Marian folk songs, folk traditions associated with pilgrimages and, as a particular feature of the Diocese of Sisak, rustic wooden chapels and the traditional wooden architecture of old manors. In addition to numerous examples of the religious and cultural legacy, there is also the breathtaking natural beauty of Banovina, Moslavina, Pokuplje, Turopolje and Posavina. All the photos below are taken from the film, by kind permission of Dr. Hrvojka Mihanović Salopek. Remparts of the fortress in the city of Sisak. Summary in Croatian from the back cover of the DVD. Pope Benedict XVI refounded the old Sisak Bishopric, designating Vladimir Košić as the new bishop. 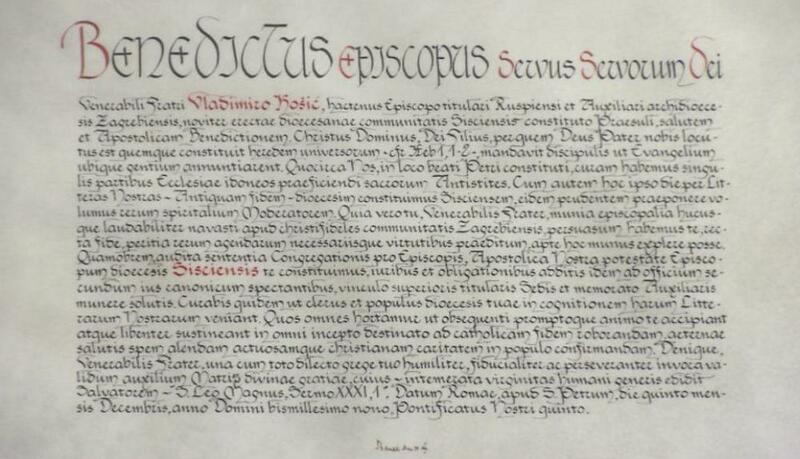 Written in Latin, kept in the Sisak bishopric. The city of Sisak is located at the confluence of three rivers, the Odra, Kupa and Sava. It was mentioned as early as the fourth century B.C. as the Celtic settlement of Sestica. In the year 35 B.C., it was conquered by the emperor Octavian Augustus. In the year 297 A.D., Siscia was the seat of the Roman province of Pannonia Savia and the see of the early Diocese of Sisak. 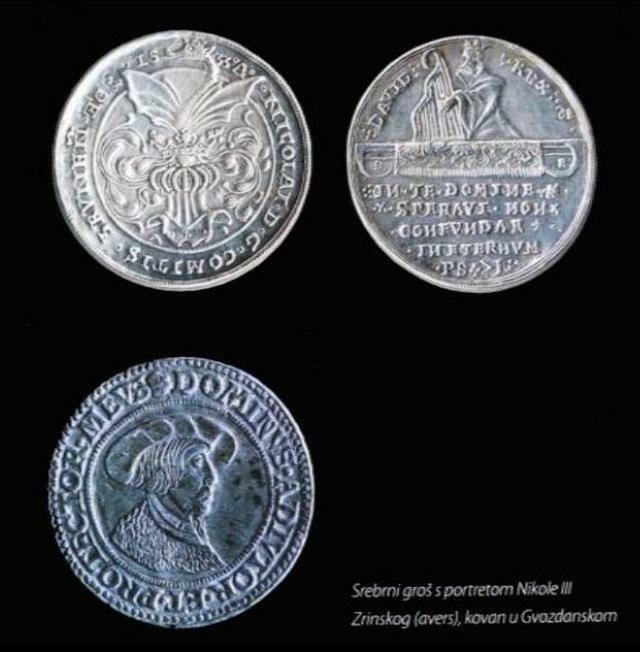 During the reign of King Tomislav, the Diocese of Sisak was mentioned in 925 and 928 at the Church councils in Split, although it did not have a bishop. Since 1094, it has been part of the Diocese of Zagreb and since 1215, under the patronage of the Cathedral Chapter of Zagreb. 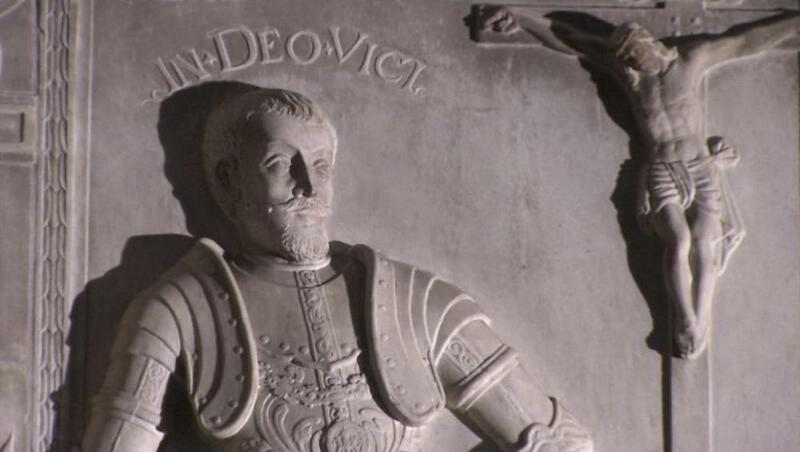 The most famous Roman bishop of Siscia was St. Quirinus, who died as a martyr in 303 during Diocletian’s persecutions. Today, he is the patron saint of Sisak. Besides St. Quirinus, Our Lady is greatly venerated throughout the entire Diocese of Sisak, where she is seen as an advocate and protector of the faithful. The cathedral of the Exaltation of the Holy Cross was built during the late seventeenth century and its former main baroque altar, dated 1765, is now in the church of the Assumption of Mary in Jasenovac. 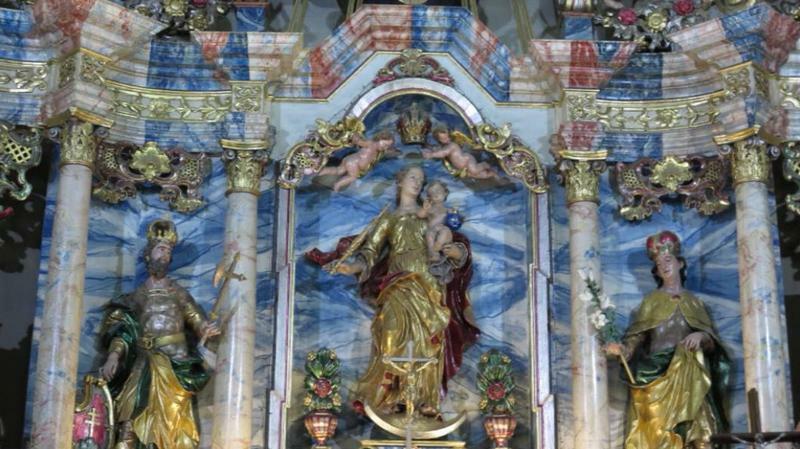 Inside the Sisak cathedral, there is lively Marian devotion on the side altars. On the left is the altar of Mary Immaculate with reliefs. Among the most valuable artworks are baroque statues of SS. Andrew and Francis de Sales by Francesco Robba, dated 1732. 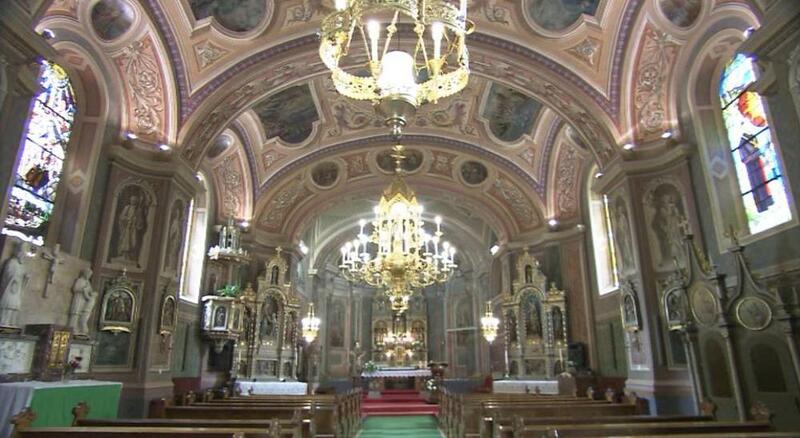 The current Diocese of Sisak was restored on December 5, 2009, by Pope Benedict XVI, who appointed Msgr. Dr. Vlado Košić as bishop, who then renovated the cathedral and bishop’s residence. 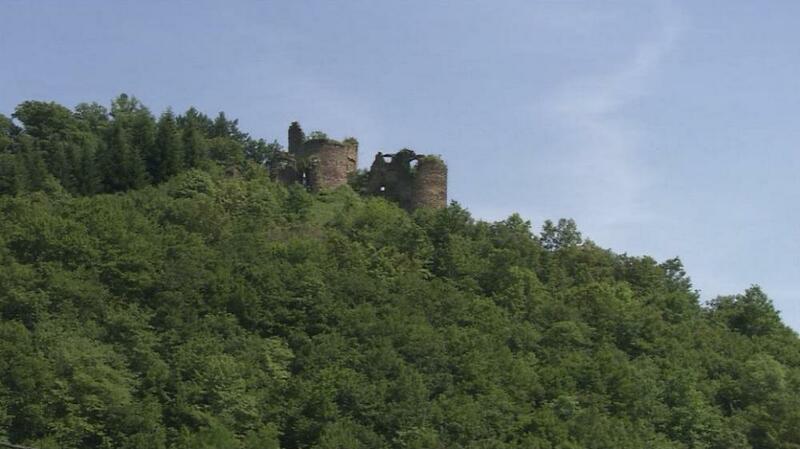 The Sisec fortress near the river Kupa. The area bordered by the Una, Sava and Kupa Rivers was of particular importance during the centuries-long struggle by the Croatian people against the Turkish invaders in the defense of the Croatian kingdom. 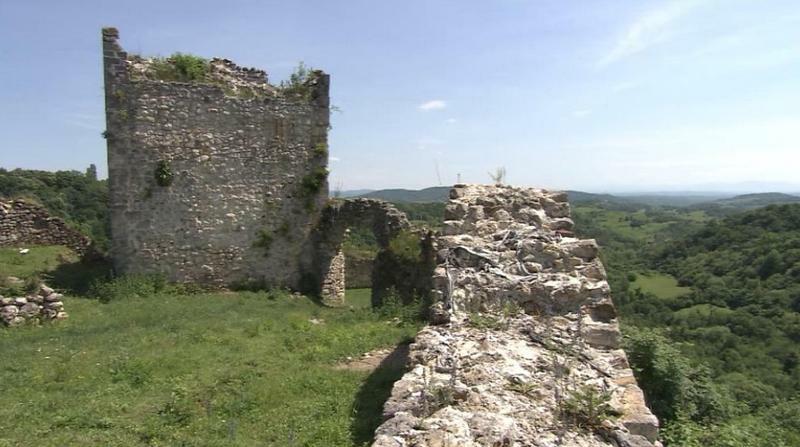 On the border with Bosnia, the former fortresses endured heavy attacks during the Turkish Wars, and in recent history 182 churches and chapels were demolished by the Serbian aggressors during the Homeland War. In the region of Banovina are two famous ruins. 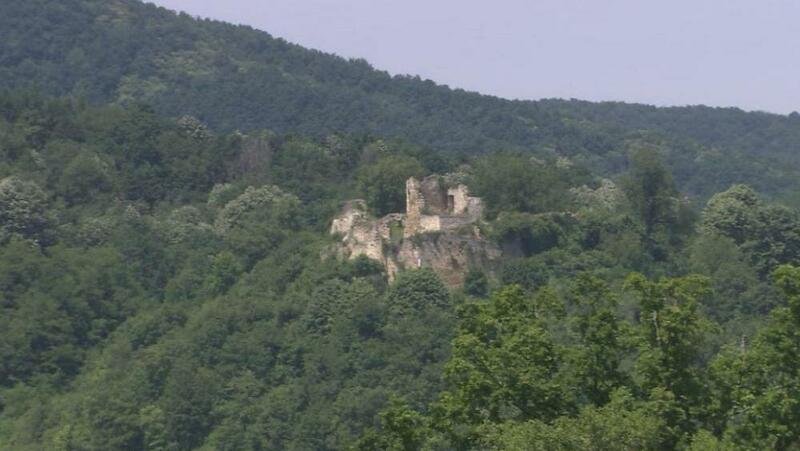 On the southern slopes of Zrinska Gora, the Old City of Zrin (Burg Zrin) was already mentioned in the thirteenth century, when it was ruled by the nobles of the Babonić family and then by the princes of the house of Šubić Zrinski. It was here that the hero of the Battle of Siget, Nikola Šubić Zrinjski, was born in 1508. But defended the light of pure souls. An important defensive bulwark was built in Hrvatska Dubica on the Una River, where there were Knights Templar and later Knights Hospitaller. At the beginning of the fourteenth century, Dubica was the home of Duke Hrvoje Vukčić Hrvatinić, known for his Missal. In 1513, the Croatian ban and prior of Vran, Petar Berislavić, defeated the Turks at the Battle of Dubica on the Feast of the Assumption, and thus secured decades of calm. However, after the ban’s death, the danger returned. Only after the fall of the Ottoman Empire in the eighteenth century was the church of the Holy Trinity built. The fourth significant fortress is the Old Town in Hrvatska Kostajnica, which was mentioned for the first time in the year 1420 for the Kostajnica dukes. 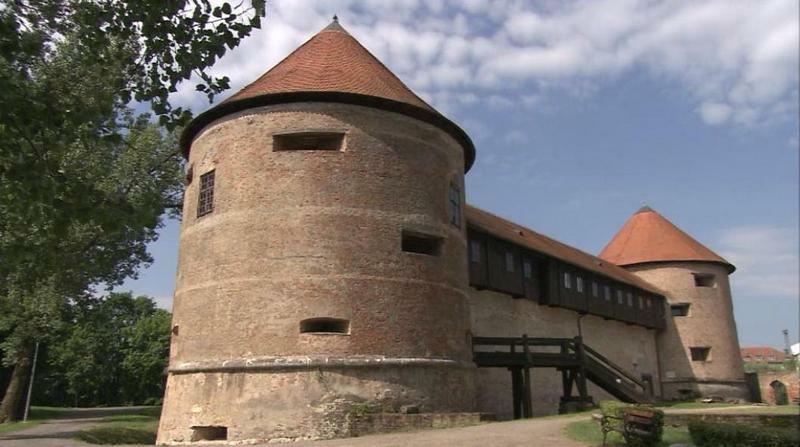 After 1528, the city came into the possession of the Zrinskis through marriage and then became a military fortress of the Habsburg army, whose traitorous commander Lusthaller sold it to the Turks for 2,000 ducats in the year 1556. 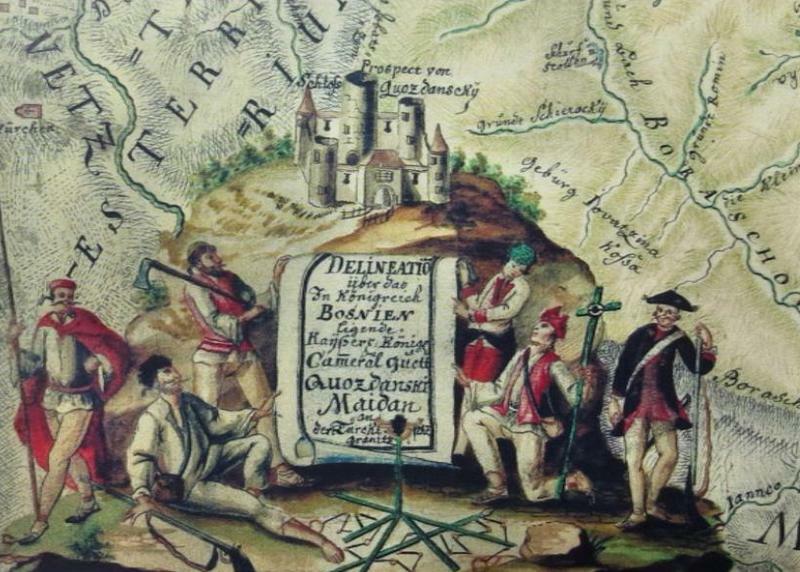 Hrvatska Kostajnica was liberated by Ban Nikola Erdődy in 1688. However, according to the shameful terms of the Treaty of Karlowitz that concluded the Austro-Ottoman War, Kostajničko Pounje was ceded to the Turks. Kostajnica was not liberated until the eighteenth century. 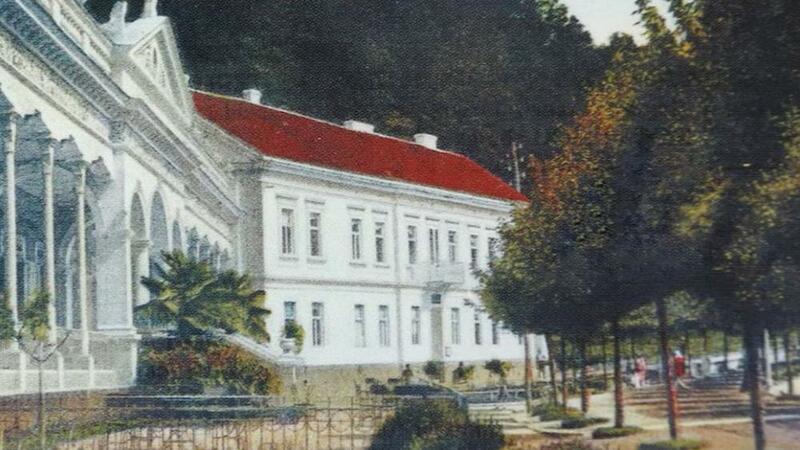 In 1778, the Franciscans organized educational activity in Kostajnica. Their monastery was formerly located at the cemetery near the chapel of St. Anne. During the Homeland War, all the churches and the town were severely damaged and are now being painstakingly restored. In the valley of the Glina River, on the slopes of Petrova Gora, is Topusko, known since Roman times for its healing thermal springs and mentioned by the name of Toplica in 1192. In the year 1205, the Croatian-Hungarian king Andrew II gave land to the Cistercian monks of Clairvaux for a monastery, where they founded their abbey of St. Mary. The abbot of Topusko was the leading church dignitary, after the bishop, in the Archdiocese of Zagreb. The cultural reputation of the abbey is evidenced by the illustrated Missal of Juraj of Topusko, from the fifteenth century (MR 170 u Metropolitani, No.354 in the Cathedral Treasury). After the Cisterians, the Gothic abbey was administered by the bishops of Zagreb, who gave it the title Abbates Beatae Mariae Virginis de Topusko, among the most famous of whom were the Croatian ban Bishop Juraj Drašković, who administered the abbey from 1563 to 1578. 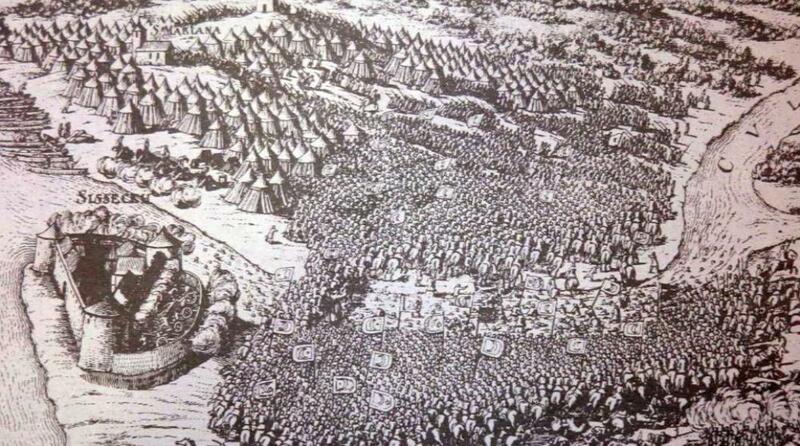 Turkish canons conquered and destroyed Topusko in 1593. In the eighteenth century, following the liberation, the abbey was in ruins. Not until the early ninth century was the parish church of Our Lady of the Visitation (Marija od Pohoda) built, which was destroyed during the Homeland War and is currently being restored. 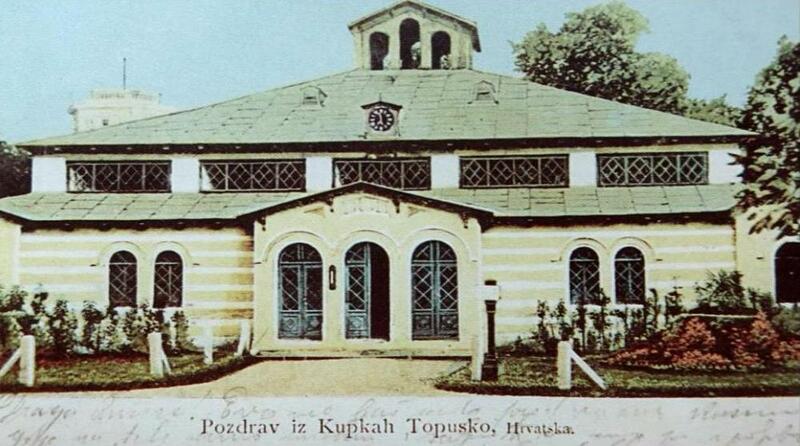 During the time of the Habsburgs, Topusko was an elite resort and spa, and was particularly developed by Colonel Ivan Nestor and Ban Josip Jelačić. 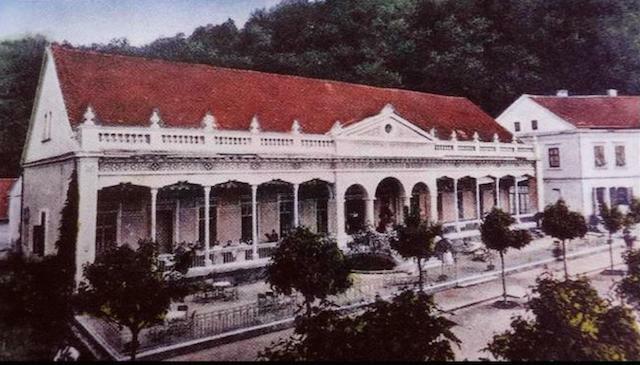 Since that time, it has been known as the Palace of the Ban (Banska palača), Sophia’s Baths (Sofijine kupke), and beautiful gardens (lijepi perivoji). 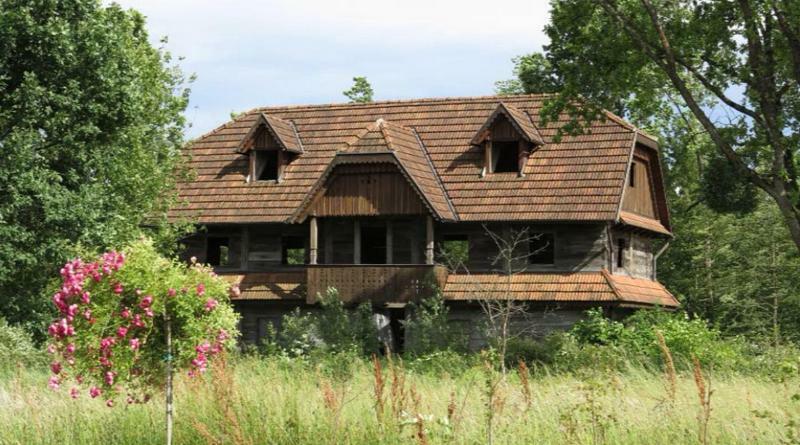 During the Homeland War, the historic appearance of Topusko was completely devastated by the Serbian army and will require much time to regain its former glory. In the territory of Banovina, southwest of Petrinja, we come to an important center of Marian spirituality in Gora. Here, the Croatian shrine of the Assumption of Mary has been restored from the ground up. 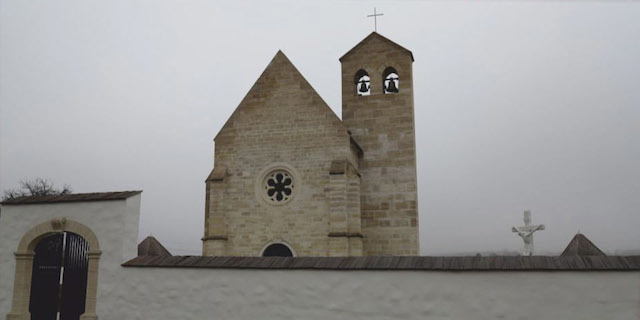 On the foundations of the old church, the Knights Templar built the Gothic church of St. Mary in Gora at the beginning of the thirteenth century, and in 1312, with the abolition of the Knights Templar, the Knights Hospitaller inherited their estates. In 1591, the Ottoman army destroyed the church and monastery. After liberation from the Turks in 1705, the church was renovated in the baroque style. Under the direction of the Zagreb Cathedral Chapter, it was restored as the see of the Gora Archdeaconry by the provost Nikola Dianešić. In 1736, the Marian church was consecrated by the Bishop of Zagreb, Juraj Branjug, and on its main altar a picture of the Madonna and Child, known as Help of Christians, was venerated. During the Homeland War, the Serbian army mined the church and set it on fire. Through the efforts of the Bishop of Sisak, Vlado Košić, the old Gothic church was restored according to archaeological finds and dedicated in 2015. Mary, Mother in our Tribulation, restored history to the ravished land and provided shelter. Our journey brings us near the city of Petrinja. In the environs of Petrinja, along the bank of the Kupa River, is the church of Our Lady of the Snows in Mala Gorica, which was first mentioned in the sixteenth century. In nearby Hrastovica next to Petrinja, communities and all the churches were destroyed by Serbian invaders, including numerous Marian chapels. These churches had to be rebuilt from the ground up. On the picturesque hills of Banovina is Hrvatski Čuntić, which in the thirteenth century belonged to the Cistercians and then to the Zagreb Cathedral Chapter. 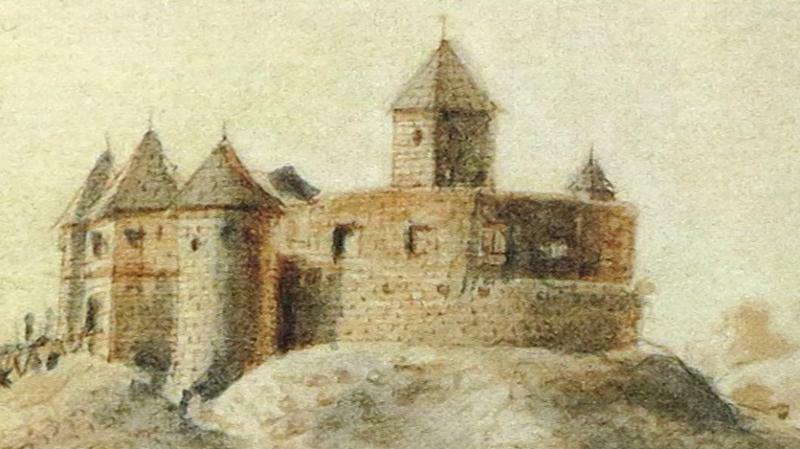 In defense against the Turks, in 1551 the Cathedral Chapter had a tower built, of which only the rampart of the guard tower remains. In the late seventeenth century, this region was settled by Catholics fleeing Bosnia, led by the Franciscans. At the beginning of the eighteenth century, the Franciscans established the parish of St. Anthony of Padua and built what was first a wooden and later a masonry church and monastery. 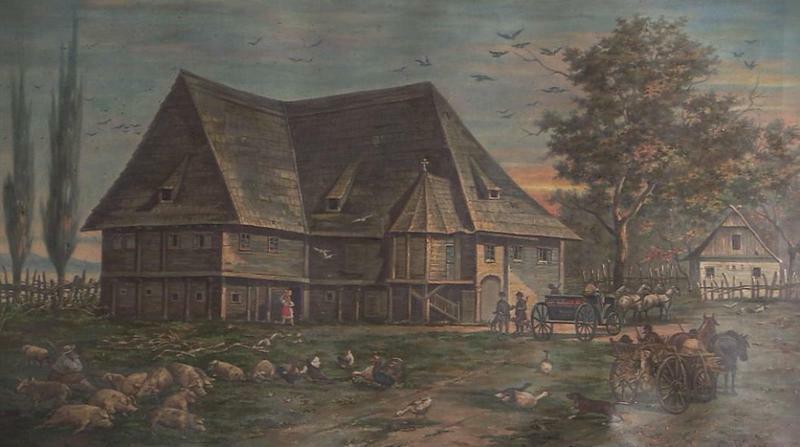 In the middle of the eighteenth century, a Franciscan elementary school began operations. This cultural monument was set on fire and mined during the Homeland War by the Serbian occupiers. Today, the shrine has been rebuilt and the interior of the church is being restored. And perseverant in the Catholic faith. And free from earthly fear. When we go northwest from Banovina, we come to the area near the Kupa River known as Pokuplje. In the parish of Žažina, a former Marian church was first mentioned in written documents in 1334. Today’s church of SS. Nicholas and Vitus was built in the eighteenth century. A side altar dated 1740 is dedicated to Our Lady of Sorrows, while other side altar, dated 1745, has a painting of the Adoration of the Three Kings. We travel further along the Kupa River and arrive at the village of Stari Farkašić, where the parish church, dedicated to the Visitation of the Blessed Virgin Mary, was built in the classicist style in 1844. 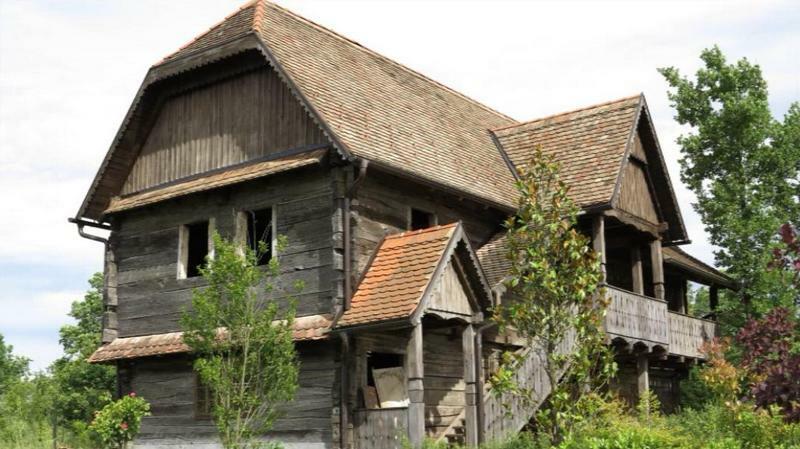 It was damaged by shelling from the Serbian army and is gradually being restored. We arrive in Pokupsko, which was first mentioned in 1359, where we find the baroque parish church of the Assumption of Mary. During the time of Bishop Juraj Branjug, the church was completed and dedicated in 1740. The exterior is surrounded by a stone wall and four towers. 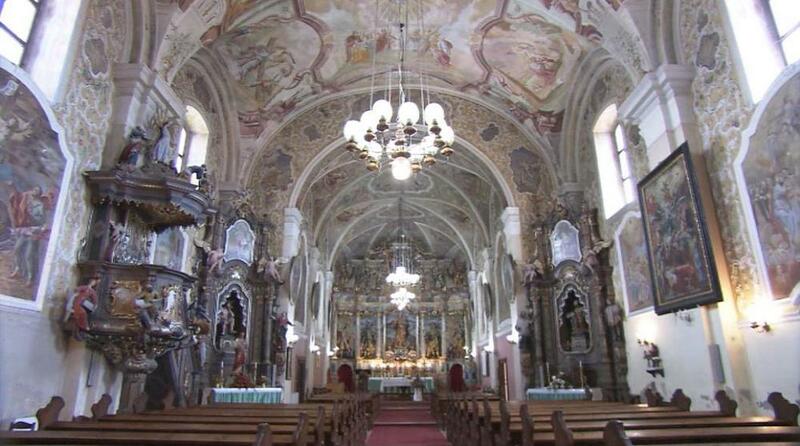 The interior is graced by three lavishly designed baroque altars. Fortunately, the altars were removed in time to protect them from the Serbian invaders in 1991, who destroyed the church with projectiles and committed unprecedented devastation of the valuable cultural heritage of the highest category. Today, this shrine is also in the process of restoration. Where Your Holy Name resounds. Ascend throughout the whole world. Moving away from the Kupa River, we arrive at the slopes of the mountain range Vukomeričke Gorice. In Pisarovina Jamnička, we come upon the baroque church of St. Martin, where the altar of Our Lady of Sorrows is particularly venerated. Further to the north, within Vukomeričke Gorice, is Dubranec, known for its beautiful church of Our Lady of the Snows, dated 1650. 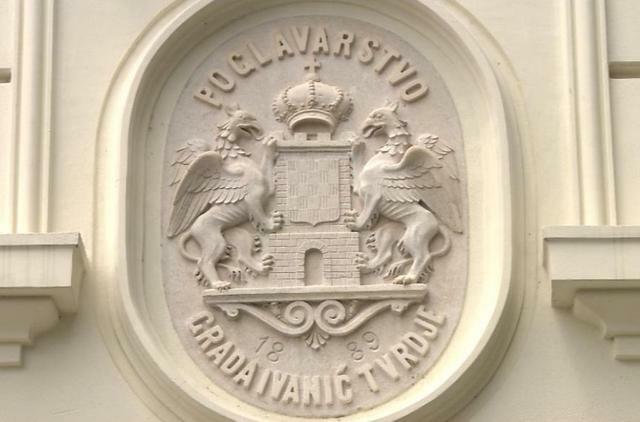 Coat of Arms of the town of Ivanić (observe Croatian Coat of Arms) from 1889 on the Town Hall. 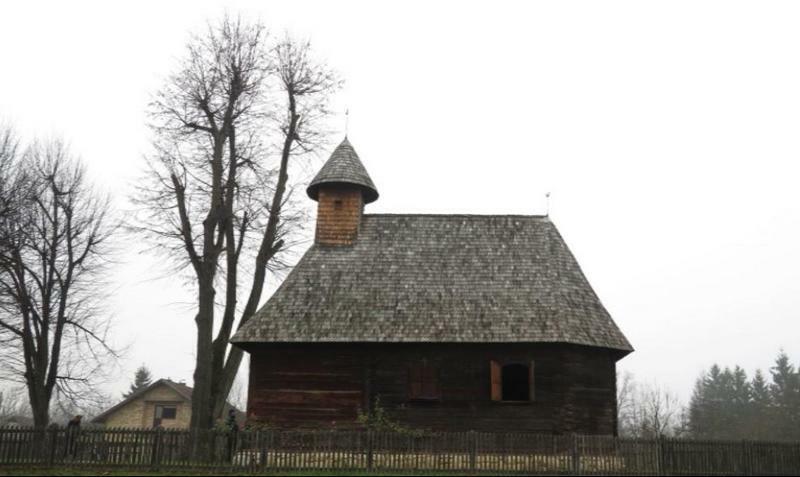 Part of the specific cultural legacy of the Diocese of Sisak, in the broad area bordered by Turopolje, the Sava River and the Kupa River, are numerous valuable old wooden manors and chapels, testifying to the art of the builders, who bore witness to their faith over the centuries through woodcarving and carpentry. Planks were fastened to each other using a notched corner joint (hrvaški vugel). Rustic wooden chapels are often ornamented with beautiful floral murals, such as St. Barbara in Brest Pokupski, dated 1673, with a painting of the Coronation of Our Lady and Mary with Angels, the chapel of St. John the Baptist in Stara Drenčina, dated 1696, that has a small side altar of Our Lady of Sorrows, and St. Martin in Stari Brod, dated 1634. We travel from the Sisak region toward Posavina. On the other side of the Sava River basin is the nature park of Lonjsko polje, known for its numerous species of waterfowl. The village of Čigoč is known for its storks. However, in this region we shall also encounter valuable examples of traditional rural wooden architecture. Parish church of St. Bartol the Apostle in Hrastovica. Cultural monument of A category, destroyed in the 1990s during the Serbian aggression on Croatia, and built anew. We are approaching the easternmost part of Moslavina. On the slopes of Moslavačka Gora is the town of Kutina, which was mentioned for the first time in the year 1256 in a charter from the Croatian-Hungarian king Bela IV, Kutina was mentioned as a parish in 1334 in the Statutes of the Zagreb Cathedral Chapter, and fell in the mid-sixteenth century during the Turkish invasions, when the inhabitants were killed off or fled. After 1687, the Turkish forces were forever driven from Moslavina and Kutina was resettled. In the Kutina Museum, a portal has been preserved from pre-Turkish times in the thirteenth century that had belonged to Bela’s church, i.e., the former Paulist church of St. Mary on Moslavačka Gora. In 1729, construction began in Kutina on the present baroque church of Our Lady of the Snows. In 1752, a high tower and atrium with towers were also built. In 1738, the counts of Erdődy became the patrons and Maecenas of this opulent baroque shrine. In the sacristy, we find the oldest painting of Our Lady of the Snows from the seventeenth century, which was donated by the pastor Šimun Stuparić of Ivanić Grad. The main altar is dominated by the image of Mary with the Child Jesus in her lap, surrounded by saints and in the upper part Doctors of the Church. The vaults are richly embellished with stucco decorations that frame frescoes with scenes from the lives of Jesus and Mary. 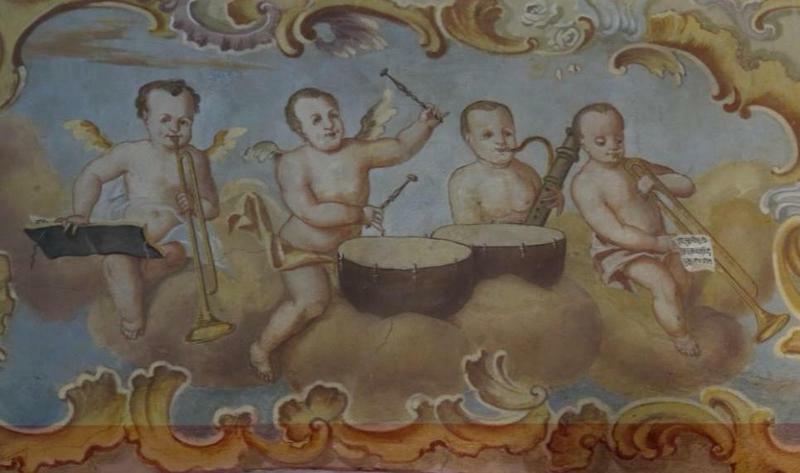 The ceiling paintings were completed by the artist Josip Gőrner in 1779. Toward the choir loft is a scene of the Assumption of Mary. 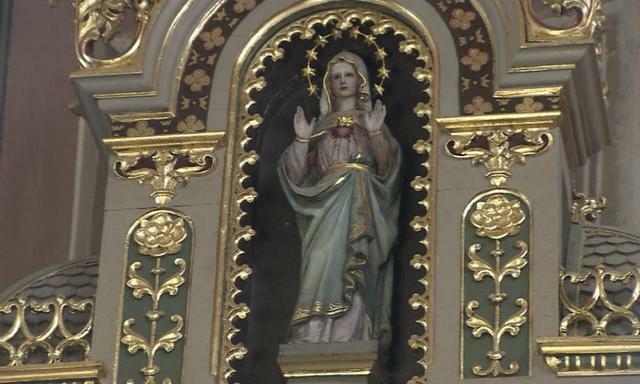 Above a scene of the Annunciation is a depiction of Our Lady’s Conception in the symbolism of Mary’s monograms and pearls that float on heavenly rays. On the frescoes are scenes of the most important events in connection with the origin of the Feast of Our Lady of the Snows. 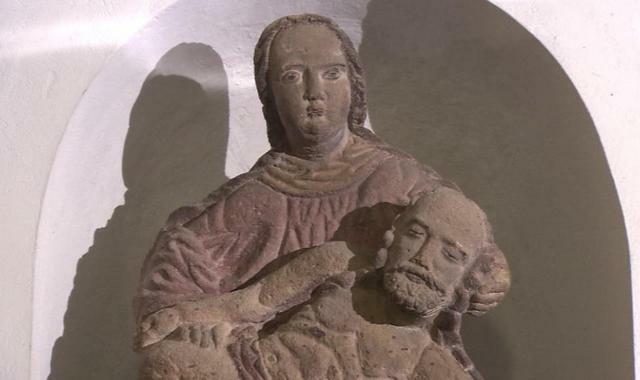 According to legend, in the year 352 Our Lady appeared in the dreams of a Roman patrician couple who gave their property to build Mary’s church. Our Lady asked for the church to be built in a place where snow falls to symbolize her purity. The donors went to Pope Liberius, who had the same apparition. On August 5, in the middle of summer, snow fell on Esquiline Hill in Rome. Construction of the church began there, after which it continued to be popularly known as Our Lady of the Snows. The Roman story told in the frescoes is interrupted by a scene depicting the Kutina church, below which is the following inscription: “This is how devout Kutina adorned Our Lady of the Snows in 1769.” In several symbolic scenes, Mary’s titular frescoes reveal her virtues. Among the wooded hills of western Moslavina are two important neighboring towns in the Diocese of Sisak: Ivanić-Grad and Kloštar Ivanić. The first record of Ivanić as a settlement under the direction of the Bishop of Zagreb was made by Bishop Stjepan II Babonić, dated 1246, in which the former old church of St Mary is mentioned. From the late sixteenth century to the ninth century, owing to the formerly fortified walls in defense against the Ottomans, the locality was known as Ivanić fortress (tvrđa) and its residents had the privilege of a free marketplace. 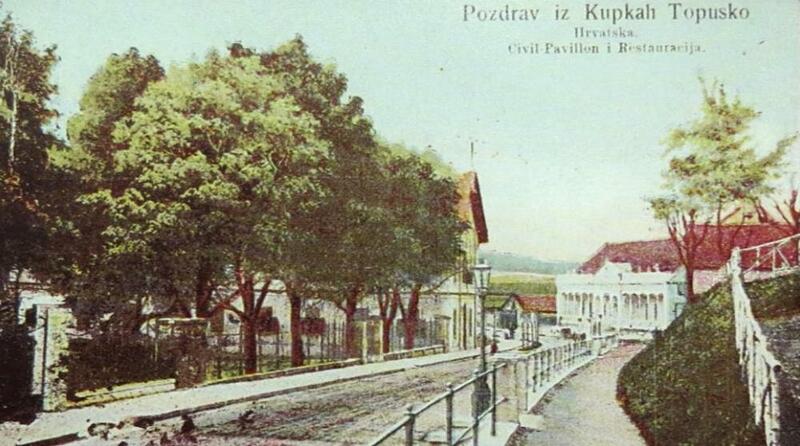 In the eighteenth century, Ivanić became a free military district. In the year 1831, the worn-out wooden church was replaced by the spacious church of St. Peter in the classical historical style. 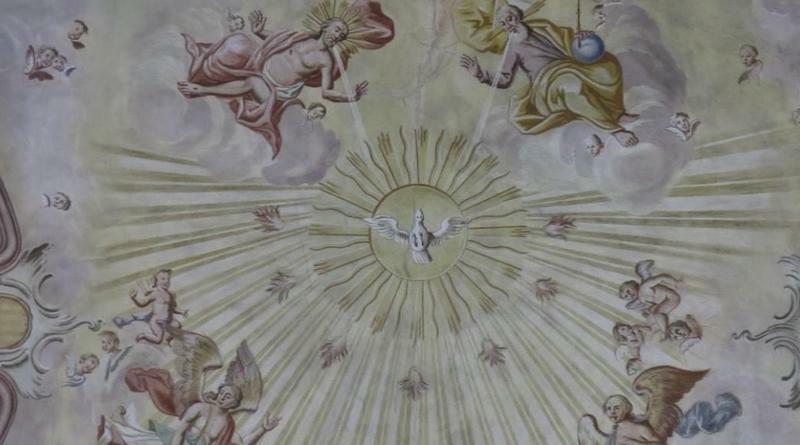 The opulent church mural was the work of the Italian painter Leonardo Moretti and the Croatian painter Petar Rutar. 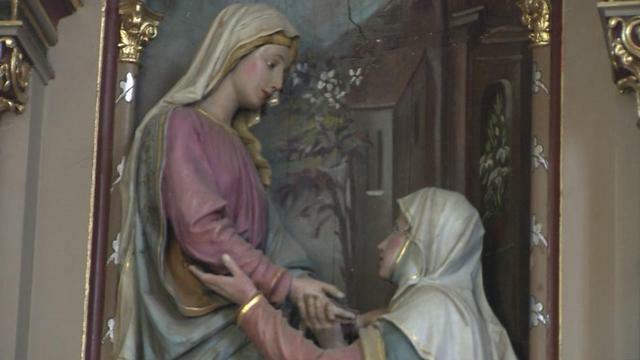 Among the altar reliefs is the Visitation of Mary to Elizabeth by the Austrian painter Johann Beyer. Above the left altar is a niche with a statue of Our Lady. And with fragrance, gently comfort us! In the vicinity of Ivanić-Grad is Kloštar Ivanić. It was mentioned for the first time in a deed issued by the Croatian-Hungarian king Ladislaus in 1093. The Zagreb bishops managed the estate and built their castle next to the Late Gothic church of St. John the Baptist. Bishop Luka Baratin brought the Franciscans in 1508. This valuable church was severely damaged during the Second World War and is under restoration. Not far from it, on the hill of Kloštar Ivanić is the parish church that is the leading Marian shrine of the Moslavina part of the Diocese of Sisak, which was mentioned in the 13th century. It is dedicated to the Assumption of Mary. The image of Marija Ivanečka—Mother of Mercy is venerated here. In the seventeenth century, the church acquired baroque features and then was enlarged with side chapels and completed in its final form in 1759. “Marian devotion throughout our Croatian nation in the territory of Croatia and Bosnia and Herzegovina, where Croats have lived since olden times, is a significant characteristic of the Croatian Catholic nation and one of the main determinants of Croatian Catholic piety, certainly in the Diocese of Sisak, in this region of Moslavina, Pokuplje, Posavina and Banovina. However, this region is specific because here Croats always had to be on the bulwarks of the homeland and every war struck this area first. 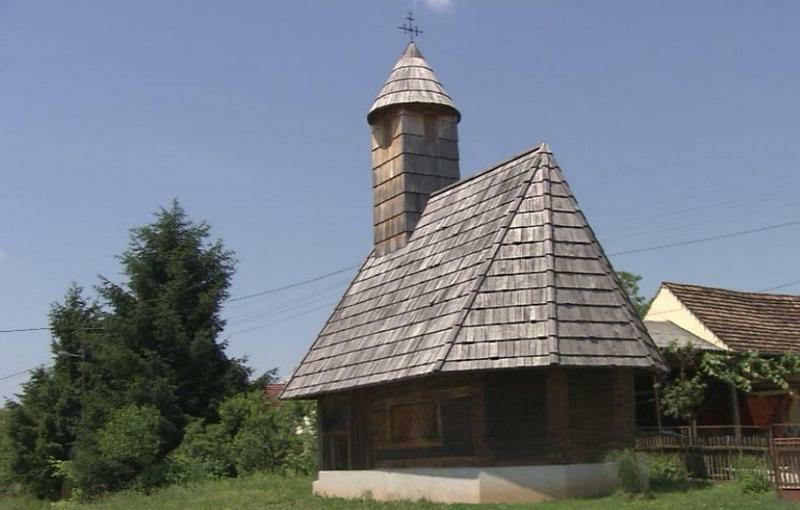 Wooden church in Stari Brod dating from 1634. Wooden house the region of Posavina near the Sava river. Project leader, scenarist and director: Hrvojka Mihanović-Salopek, Ph.D.
Production: Real media d.o.o. and Sveta glazba d.o.o. Musical performances from the archives of Sveta glazba d.o.o. Vocal-instrumental ensemble Lucidarium, Artistic director: Prof. Avery Gosfield, Ph.D.
Vocal ensemble Dialogos, Artistic director: Prof. Katarina Livljanić, Ph.D.
Nova schola gregoriana, Artistic director: Prof. Alberto Turco. 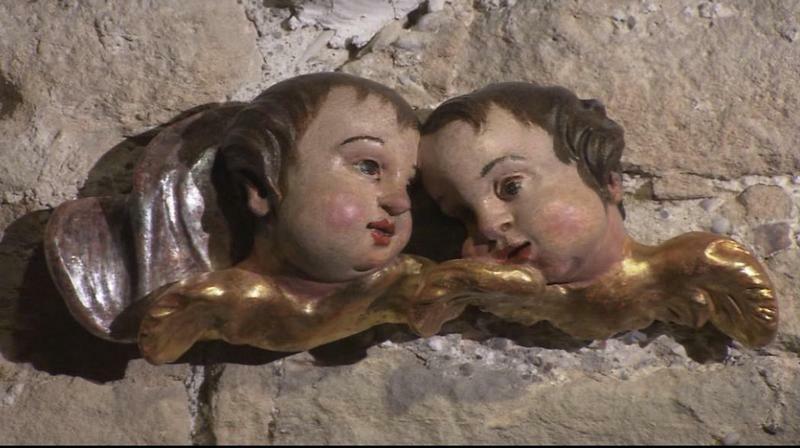 the photos from the DVD dedicated to the Mariological heritage of the Sisak Bishopric. Also, many thanks to Martina Ožanić, PhD, for her additional information concerning some of the photos. 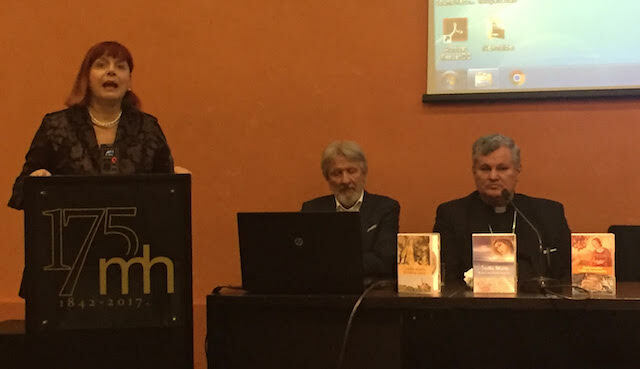 Presentation of the DVD at Matica hrvatska (Matrix Croatica): Biserka Draganić, Alojzije Prosoli, Mons. Vlado Košić (the Sisak bishop), Hrvojka Mihanović-Salopek and Josip Bratulić. Dr. Hrvojka Mihanović-Salopek, Alojzije Prosoli, prof., and Mons. Dr. Vlado Košić, bishop of Sisak.